We are all going to pretend that I read politics and other serious news stories all the time, right? After all, I am a lawyer. We all want to at least appear well-informed, so I'm here to let you in on a secret. You don't even have to leave Facebook to find out the latest trending news stories! Most of you already noticed the "Trending" news feed to the right of your Facebook feed. 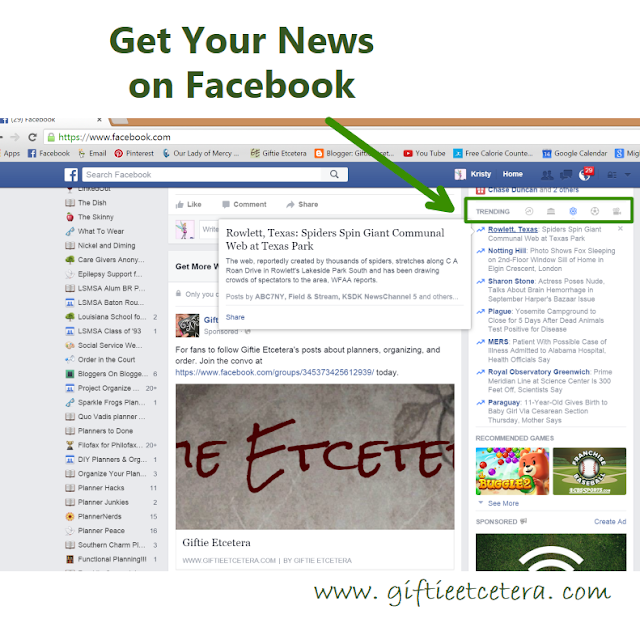 Get all your news without never leaving Facebook! Now share this with your Facebook friends so they'll realize how smart you really are. Thanks for sharing at the #AnythingGoes Link Party. well....I never knew that (so many little things we learn!) I'm off to check my fb feed :) visiting from #AnythingGoes Link Party.